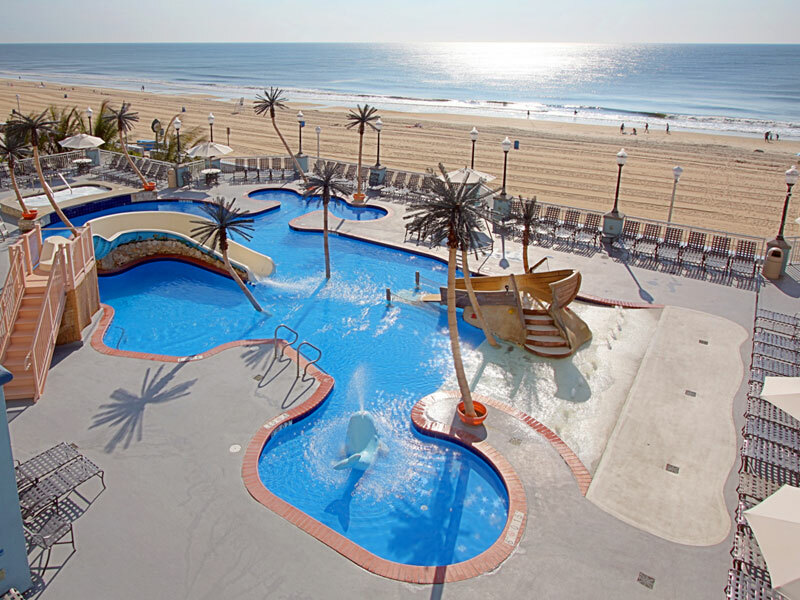 Our outdoor kid pool features a slide, lazy river and playful waterfalls. 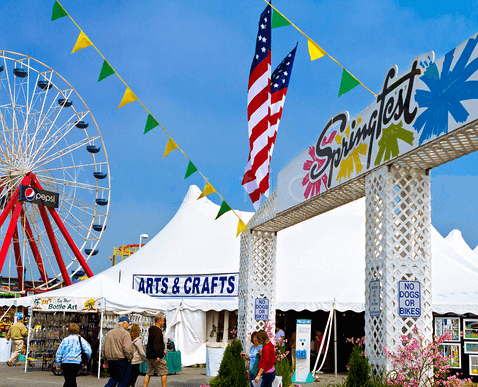 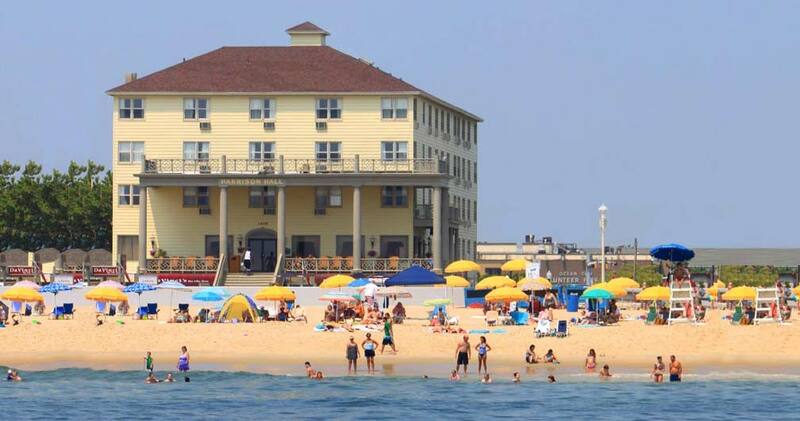 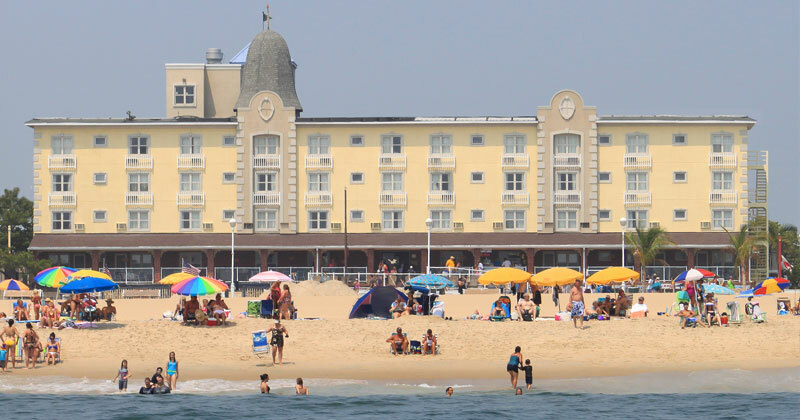 Overlooking the famous Ocean City Boardwalk and just steps away from the sand. 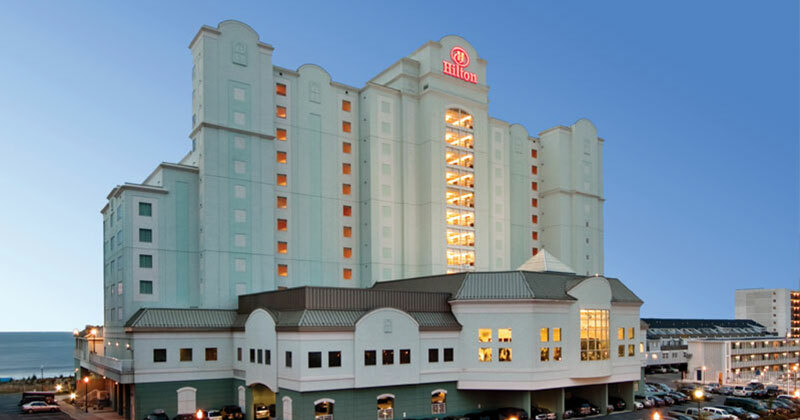 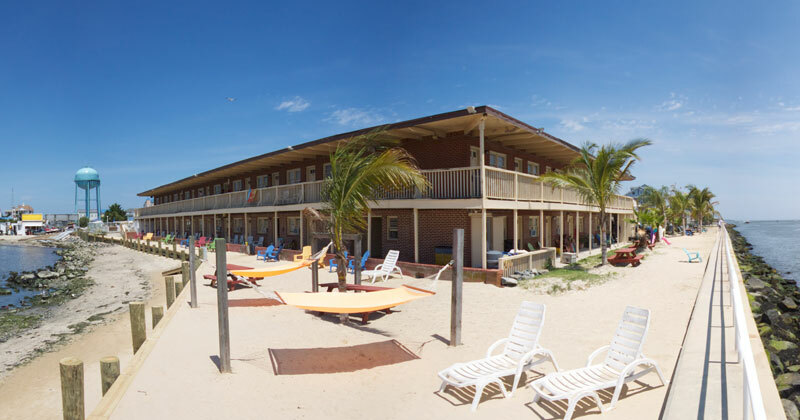 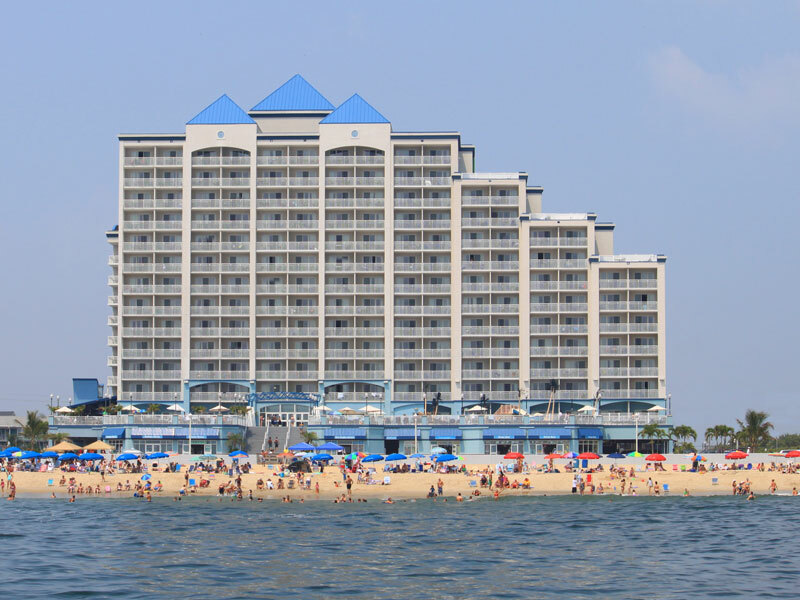 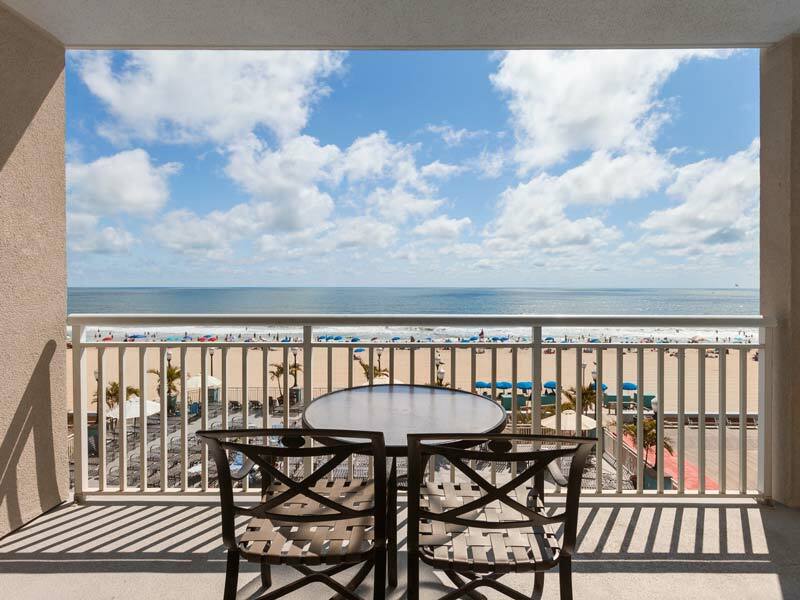 Located directly on the boardwalk and Atlantic Ocean. 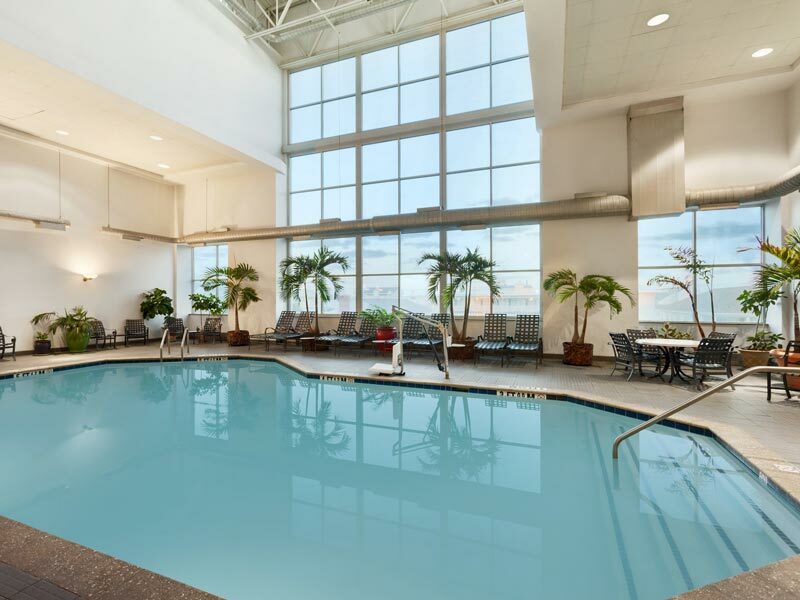 The Activity Pool offer a “Zero Entry” area so that toddlers can just walk in and start splashing! 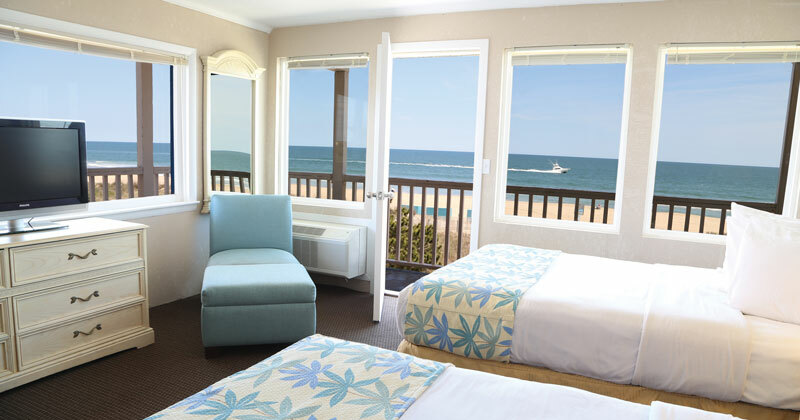 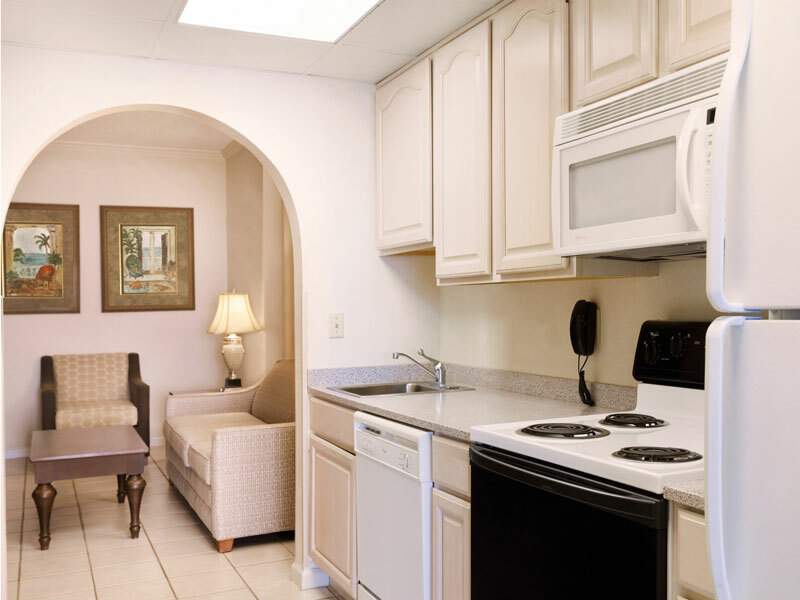 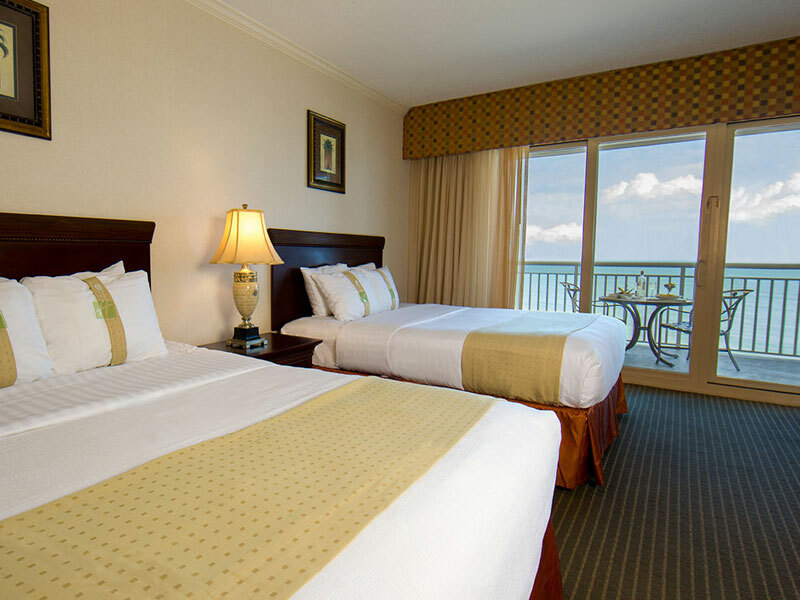 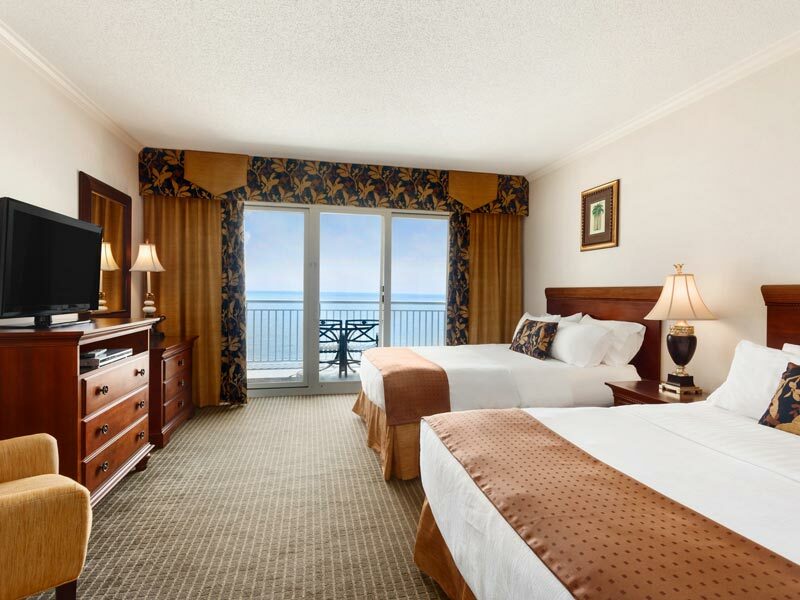 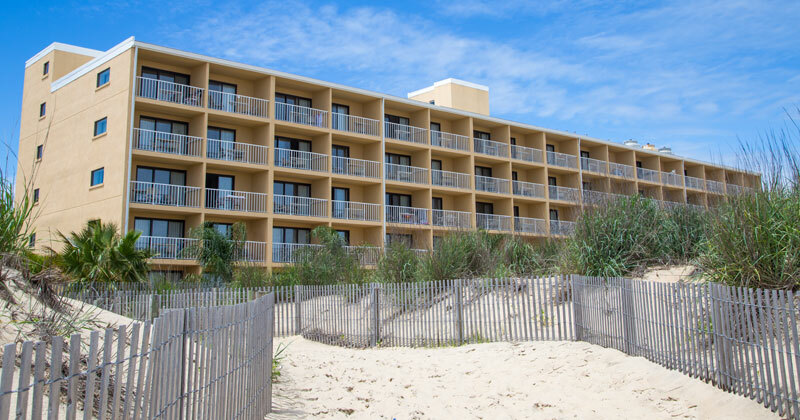 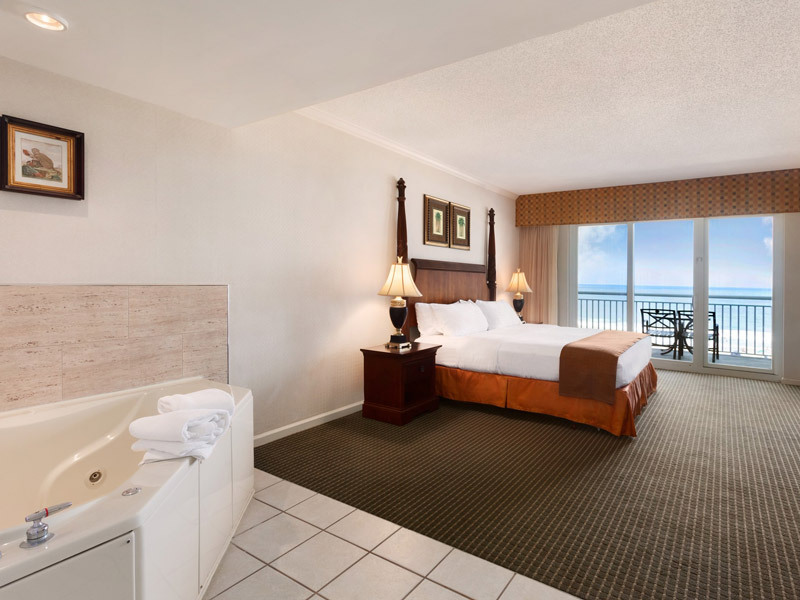 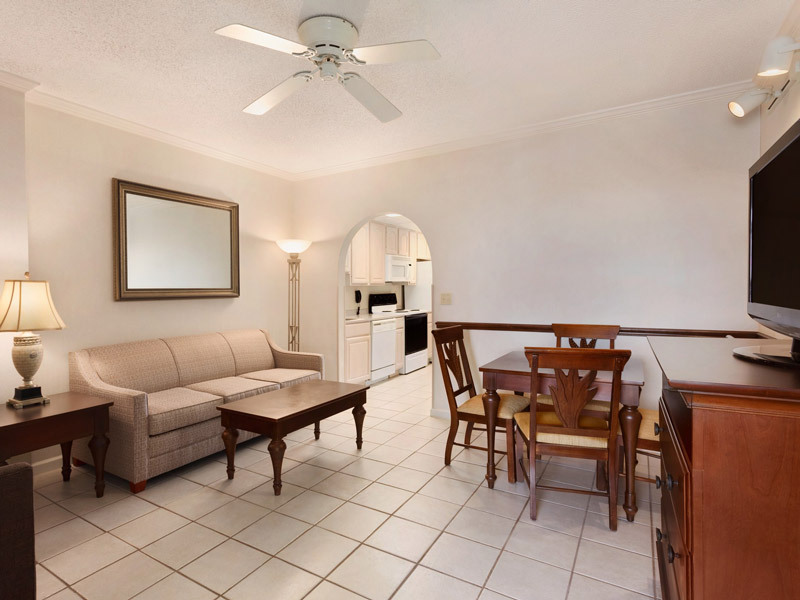 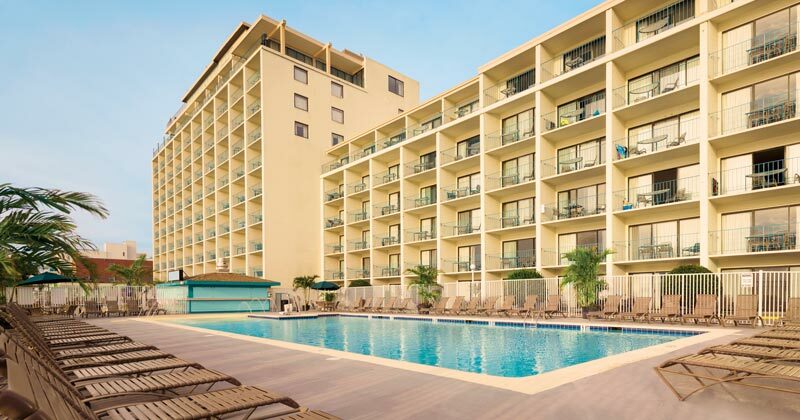 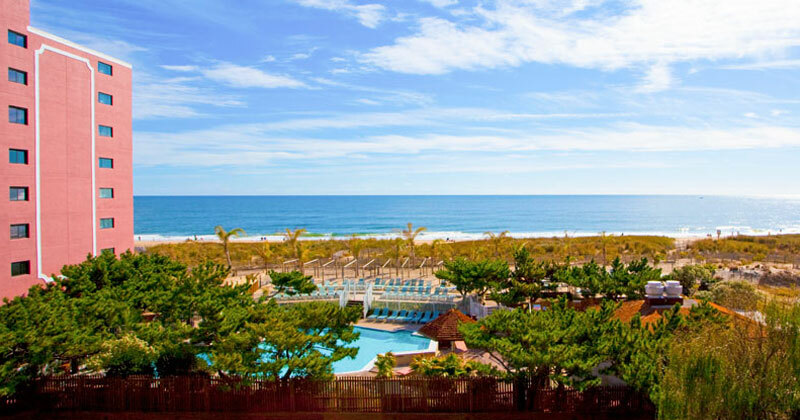 Relax in your spacious bedroom with a private balcony overlooking the Beach, Boardwalk & Ocean. 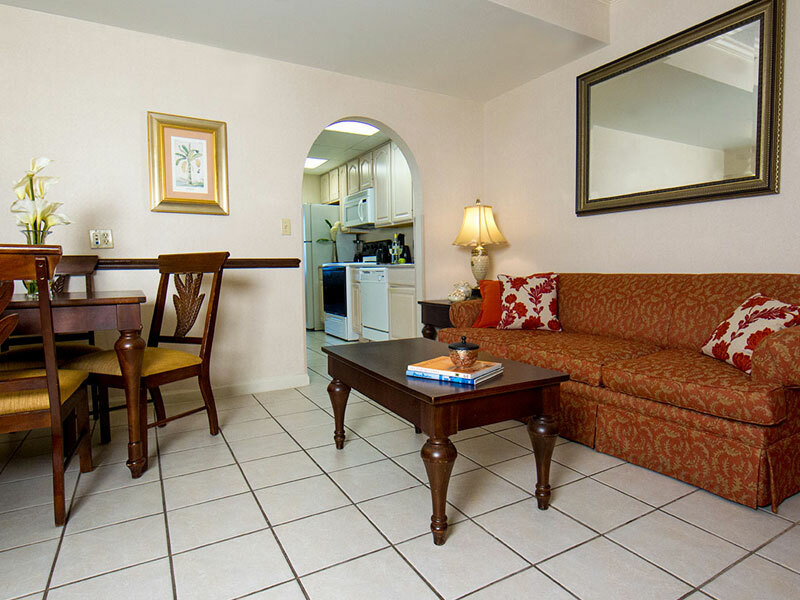 Your separate Living and Dining Room features a Queen-sized sleeper sofa and a 37" Flat Panel TV. 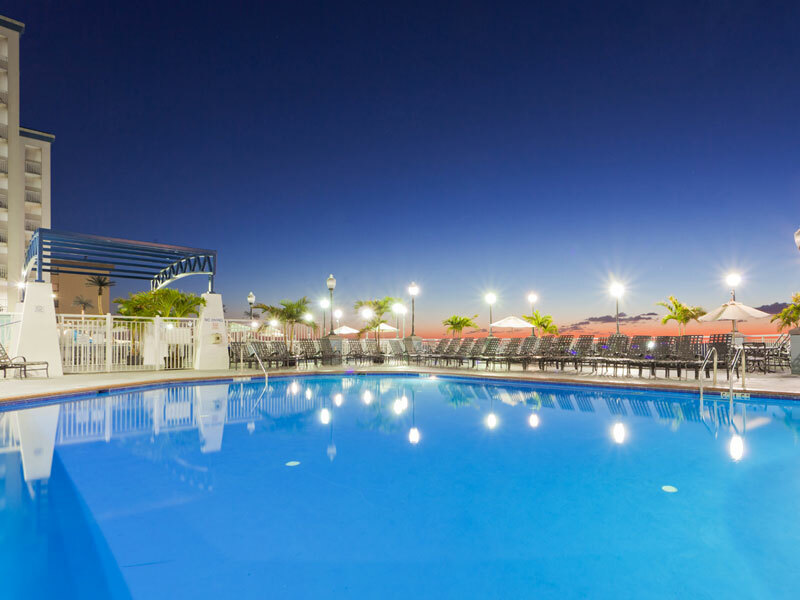 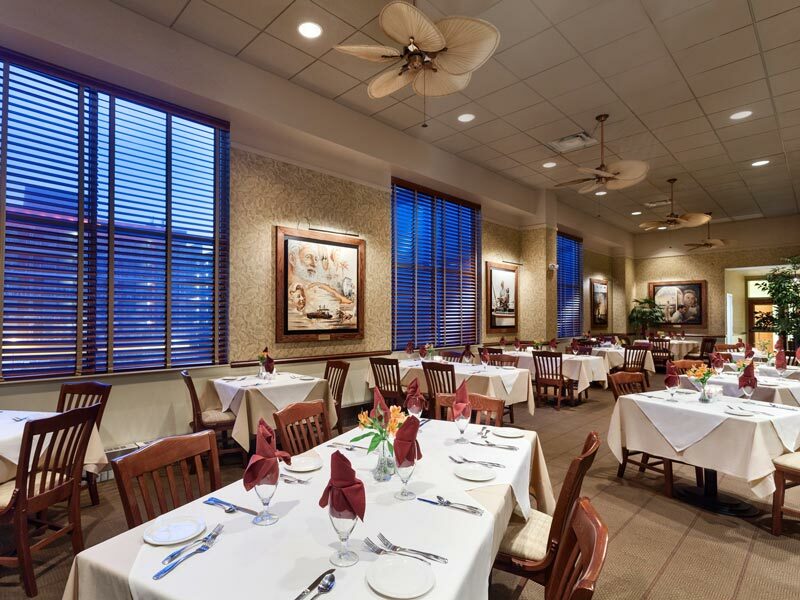 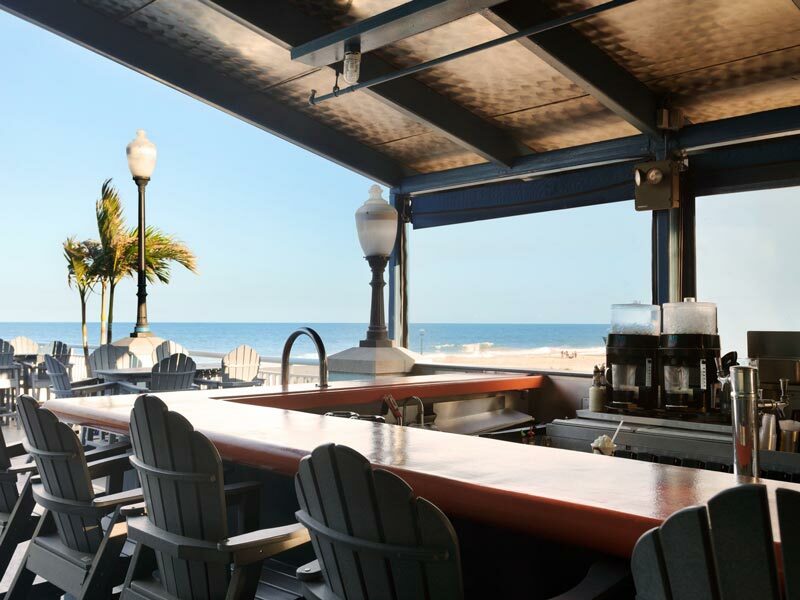 The family pool is the perfect place to rest and enjoy a drink from the Deep End Poolside Bar & Grille. 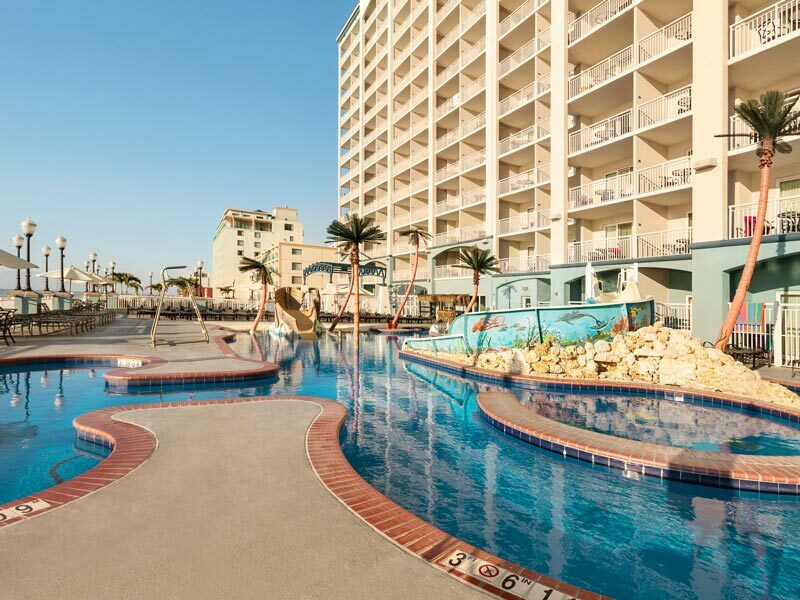 If you prefer a bit more excitement, plunge into the Activity Pool! 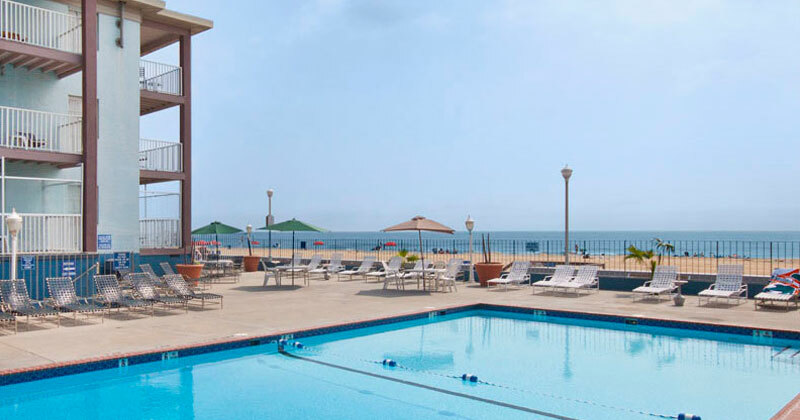 This fun-loving swimming pool features a zero entry, which is a gentle sloping of the ground into the water similar to that found on the beach. 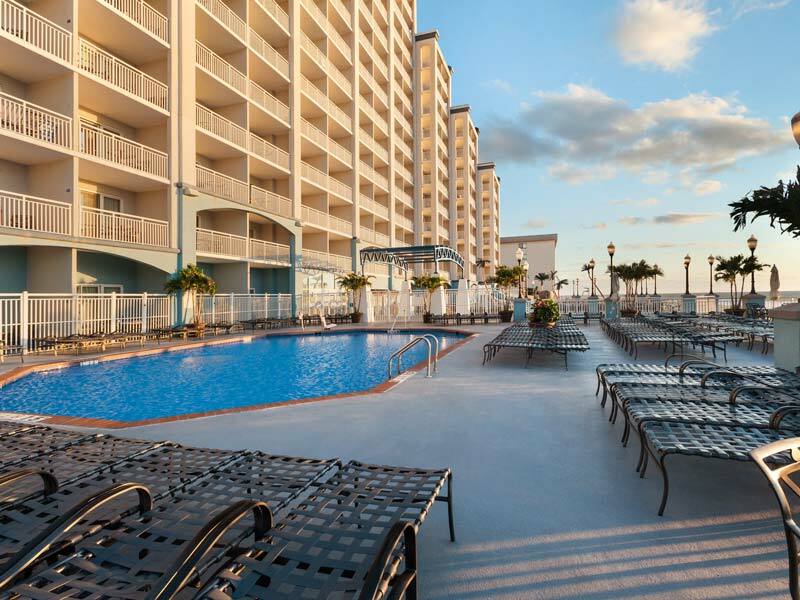 Other features include fountains, children’s slides, a lazy river and a large poolside Jacuzzi.